Full Malware Scan | How Anti Malware Software Scan Your PC? Full Malware Scan - How to do it on your PC? Doing a full malware scan detects and removes threats and viruses on your PC. The anti-malware software purges the folders in the file system to get rid of malware. If you perform a full malware scan on the computer, the anti-malware software removes the bad entries in the registry. Malware write scripts in the registry to launch when Windows loads. Anti-malware software searches and deletes unauthorized entries in the registry. This prevents any malicious software from running when the computer restarts. Doing a full malware also removes malware in the TEMP folder. Because the security in the TEMP folder is low, it becomes the common hideout of malware. Trojan, spyware, keylogger, viruses, and ransomware disguise as a genuine exe file in the TEMP folder. A hacker who is control of the computer can access malware when necessary. A full malware scan removes harmful files in the TEMP folder. A full malware scan also detects backdoor access. This is when the hacker takes over the computer without the user’s knowledge. The hacker can use the computer in sending out spam or mining cryptocurrencies. A full malware helps eliminate backdoor access that the victim is unaware of. A full malware scan also prevents data theft. Spyware is malicious software that spies on the victim. It turns on the mic to record conversations. It also tracks the browsing activities to steal personal information. Sometimes it pretends as an add-on on the browser toolbar. 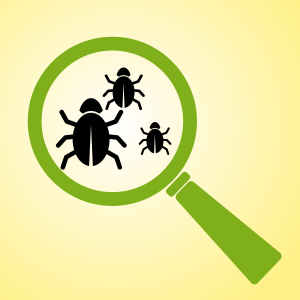 A full malware scan will be able to detect malware hiding in plain sight. Those are just some of the benefits of a full malware scan. How to Do a Full Malware Scan on your PC? To do a full malware scan on your PC, you need a reputable anti-malware software. Download and install the anti-malware software on your computer. It will scan the computer for malware. You can download Comodo Anti-Malware for free. Download and install Comodo Anti-Malware. Follow the prompts on the screen to finish the installation. On the user interface, click on scan. It will start scanning the entire computer for malware. Once the full malware scan is finished, it will display the threats detected and removed from the computer. That should eliminate malware from the computer. How to Do a Full Malware Scan on a Business Network? A business network is accessed by many endpoint devices. These endpoint devices can serve as a point of entry of malware. You’ll never know what threat is lurking in the endpoint device until you do a full malware scan. Scanning the network and endpoint devices can be done using central security software. Once the software is installed on the main server, it can scan the endpoint devices. Comodo Advanced Endpoint Protection is central security software that protects the network and endpoint devices. Once it is installed on the central server, the endpoint devices receive equal protection against malware. So how to do a full malware scan using Comodo Advanced Endpoint Protection? Download Comodo Advanced Endpoint Protection. For assistance in Comodo AEP installation, click here to contact us. Once Comodo AEP is installed on the central server, you can install it on the endpoint devices remotely. And start a full malware scan on the endpoint devices. What are the Notable Features of Comodo Advanced Endpoint Protection? Auto-Containment - protects the endpoint devices against untrusted files. It auto-contains any suspicious file that enters the computer. If the file is confirmed harmful, it is destroyed in a virtual container. The Auto-Containment is built upon Default Deny. This means that a file can never access the file system unless it is confirmed safe. HIPS or Host Intrusion Prevention System - monitors the endpoint devices against fileless malware attacks. HIPS monitors the computer memory and registry to detect fileless malware on the endpoints in no time. VirusScope - is an advanced behavioral monitoring tool that recognizes harmful behaviors on endpoint devices. If malware mutates its signature to evade detection, VirusScope can still identify it instantly. Firewall - filters network traffic. This prevents spear phishing and drive-by-downloads on the endpoint devices. Spear phishing and drive-by-downloads are the leading causes of malware infections today. But the firewall detects spear phishing and drive-by-download in no time. Valkyrie - is a cloud-based verdict platform that uses static and dynamic analysis to provide a verdict in only 40 seconds! By performing a full malware scan using a reputable anti-malware software, you keep your business, endpoint devices, and personal computer safe from malware attacks. Download Comodo Advanced Endpoint Protection to do a full malware scan.